Harrisburg Home Security | Your Dog or Your Security System? Everyone loves your dog, except for the burglar who tries to break into your home. If he’s given a choice between burglarizing your dog-filled home or a house without canines, he will often choose the latter. But does that mean dog owners have nothing to worry about when it comes to home security? Unfortunately, no – because after all…. Your dog won’t always sense when there’s trouble. Dogs have astonishingly good senses of hearing, smell and touch, not to mention instincts. Nevertheless, their senses are not on equal par with humans. While some dogs have a great ability to sense danger, others may be the lovable variety of pup that misjudges when danger is near. For those dogs, everyone from your best friend to the neighbor’s cat is worth barking at. How consistently does your dog sense true danger? Compare that to a smart home security system, which consistently identifies true criminals attempting to break in. The system communicates with the monitoring center the moment an intruder is detected, so that help can be sent to your home right away. Your dog isn’t connected to a monitoring center. A security system relies on motion detectors that sound an audible alarm if someone breaks in and alerts the monitoring center immediately. Within seconds, a trained security operator calls you to verify the alarm while already sending help to your home. As much as you love your dog, he can’t do that – right? Your dog can be persuaded. Unlike a security system, your pet can be persuaded by a criminal. How? Usually, it’s as simple as a piece of steak. And yes, experienced criminals come prepared. Unlike your doggie, your security system has a built-in Crash and Smash feature that connects to the monitoring center if a criminal attempts to break the panel. 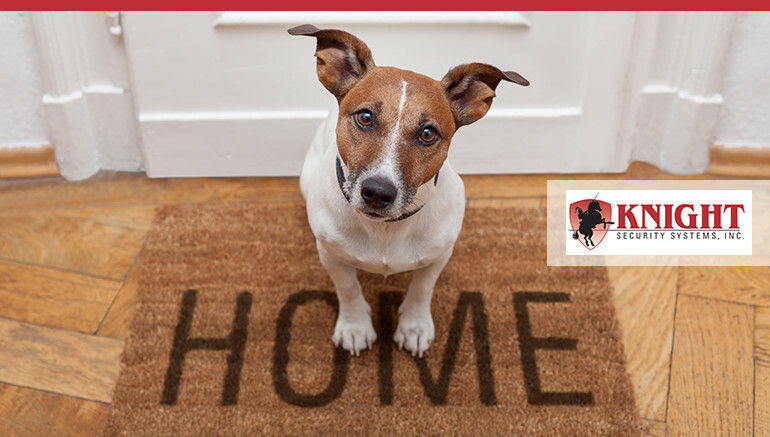 Your pet may be persuaded, but your security system is not. Questions? Contact Knight Security Systems to learn more. Since 1979, Knight Security Systems has been an independent, owner-operated Harrisburg home security company. We are proud to help people secure their homes and businesses with electronic security systems throughout Central Pennsylvania.